It was reported earlier this week that the Environmental Protection Agency has decided not to establish limits for PFOA and PFOS in drinking water, causing outrage among advocates for clean water in Upstate New York. Toxic chemicals such as PFOA and PFOS have contaminated the drinking water in Hoosick Falls and Petersbugh in the Rensselaer County of New York. The EPA has been supporting the Trump administration’s efforts to reduce regulation of chemicals and other environmental hazards in favor of industries. Senator Kirsten Gillibrand, D-N.Y., met with Wheeler on Wednesday to discuss the issue, but was not satisfied with the answers that were provided. Gillibrand claims that she will be voting against Wheeler’s confirmation as EPA administrator. “If the administration truly refuses to act, Congress will need to step in to deliver the safe drinking water standards the American people need and deserve,” U.S. Rep. Paul Tonko said in a statement. The EPA had claimed it would issue a management plan for PFOA and PFOS by Fall of 2018, but has yet to do so. The possibility of it not including a cap on the hazardous chemicals has further caused an issue for environmental advocates and residents of the affected communities. The N.Y. Water Project, formed by Hoosick Fall Residents, issued a statement on the matter as well. New York State legislators Ellen Jaffee and Liz Krueger have called on the Department of Health to impose the maximum allowable amounts of PFOA, PFOS and 1,4-dioxane in drinking water. Separate letters were sent to Howard Zucker, the DOH’s Commissioner, by the three legislators asking for mandatory levels of 4 parts per trillion for PFOA and PFOS and 0.3 parts per billion for 1,4-dioxane. 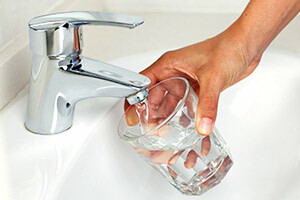 The Drinking Water Quality Council, which was created in September 2017 and consists of twelve members, was given the responsibility to make recommendations for maximum contamination levels for PFOA, PFOS and 1,4-dioxane in drinking water by the end of September, which they were unable to do. “New Yorkers cannot wait any longer to have their drinking water protected from these dangerous chemicals,” wrote Liz Krueger, a Manhattan Democrat. Click here to read the letters written to the Department of Health. The New York State Drinking Water Quality Council met earlier this week after months of delay, where they heard the concerns of residents who have been affected by contaminated water. The council has previously promised Capital Region residents that they would bring forth regulations by this month, which has also been delayed. Dr. Howard Sucker, the Department of Health’s commissioner, announced at the start of the meeting that maximum contaminant levels for PFOA and PFOS would not be recommended during this meeting. This was a disappointment for many residents as they believed regulations would be introduced in October. “Such a rapidly evolving field of science makes it challenging and complicated,” stated Deputy Commissioner of Public Health Brad Hutton who serves on the council. According to Hutton, new information was presented at the meeting that will allow the council to make maximum contaminant level recommendations at another meeting in the next couple of months. “[Hoosick Falls residents] want there to be a legacy so that the rest of New York is protected from the situation they were exposed to and I completely understand that. We’re working to put that in place,” claimed Sutton. David Bond, an associate director of Bennington College’s Center for the Advancement of Public Action, wrote the below article in the VTDigger to emphasize the importance of medical monitoring and health care funds for the victims of PFOA contamination. Four years after PFOA was discovered in drinking water in Hoosick Falls and then in residential wells around Bennington, families exposed to the toxic chemical have valid and still unaddressed questions about the long-term health consequences they now face. This is unacceptable. As a professor working to bring the scientific resources of a nearby college into the conversation on this environmental problem, I have seen the fallout of PFOA firsthand: home values dissolved in the stigma of contamination, pregnancy met with trembling uncertainty, and the strange normality of residents disclosing PFOA levels in their blood. Although new water filtration systems, Superfund designations in New York, and public water line extensions in Vermont are minimizing PFOA contamination going forward, many residents now carry a lifetime of worry. With infuriating subtlety, PFOA has been linked to cancer and other illnesses that show up decades after exposure. As impacted communities educate themselves about the toxicological profile of PFOA, they’ve found themselves at an impasse: The more they learn about the intricate risks of PFOA, the more they realize how inadequate the medical response has been. In Hoosick Falls, much of this has to do with the tepid response of New York’s Department of Health. DOH delayed acknowledging this crisis long after the evidence demanded it, continued to withhold summaries of health information collected from residents, and at one point erroneously informed residents they could drink contaminated water without worry. Last August, I helped launch a community health questionnaire. Supported by the project “Understanding PFOA” at Bennington College, this questionnaire aimed to give residents’ knowledge of their own health more prominence in ongoing discussions about PFOA. This questionnaire polled local residents of Hoosick Falls, Petersburgh and Bennington about local incidents of six illnesses linked to PFOA: kidney cancer, testicular cancer, thyroid disease, ulcerative colitis, pregnancy-induced hypertension, and diagnosed high cholesterol. This questionnaire generated 443 responses that provided health information about individuals and members of their family. After removing duplicates and verbally confirming many of the responses, the questionnaire reported 31 instances of kidney cancer, 11 instances of testicular cancer, and over 230 instances of thyroid disease in Hoosick Falls, Petersburgh and Bennington. Hoosick Falls, New York (pop. 3,420) fielded the most participants in this questionnaire, with 373 residents responding. Within Hoosick Falls, the questionnaire reported 17 cases of kidney cancer, nine cases of testicular cancer, and 135 cases of thyroid disease. These numbers differ significantly from previous reports. In May 2017, the New York State Department of Health (DOH) conducted a Cancer Incidence Investigation related to PFOA in Hoosick Falls. 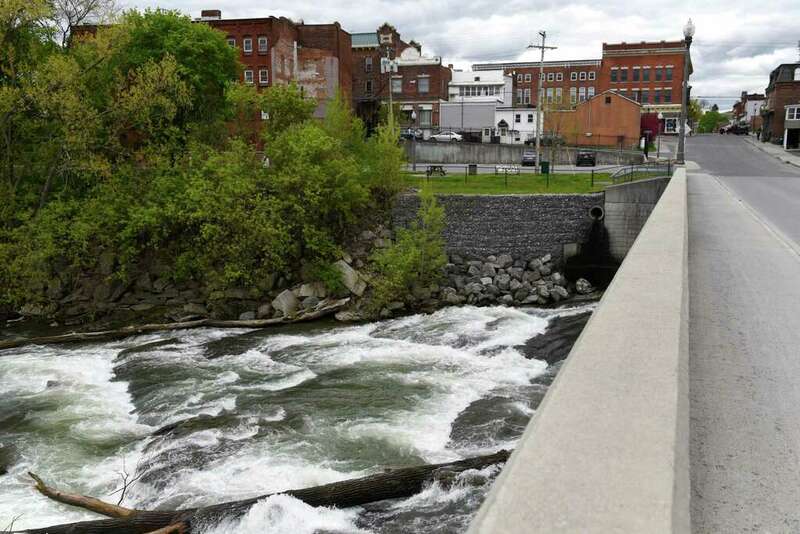 Relying on archival data in the NYS Cancer Registry, the NYS DOH survey reported 12 cases of kidney cancer and zero cases of testicular cancer in Hoosick Falls between 1995 and 2014. The 17 cases of kidney cancer and nine cases of testicular cancer reported in Hoosick Falls by this community questionnaire rise above NYS DOH’s baseline for concern and warrant renewed attention now. In Vermont, our questionnaire reported cases of testicular cancer, kidney cancer, thyroid disease, ulcerative colitis, pregnancy-induced hypertension among Bennington residents exposed to PFOA. Like in New York, these cases are concerning and warrant renewed attention now. The Vermont Department of Health should commission a serious study of the health impact of PFOA in Bennington, which needs to focus on health trends among the population exposed to PFOA. Data in the cancer registry is lumped together by zip code or census tract, both of which are a poor proxy for exposure. Over the past year, I’ve met several local residents diagnosed with PFOA-associated cancers struggling to keep up with mounting medical bills. Juggling chemotherapy and visits to specialized clinics on top of family and work, these individuals are now working second jobs and relying on GoFundMe campaigns to get the health care they need. This is not right. Victims of toxic pollution should never have to pay for their own medical treatment. Polluters, not taxpayers, must be required to fund the new health care needs PFOA has introduced into our communities, including medical monitoring and a designated health care fund. Medical monitoring provides resources to local health care providers to be on the lookout for early indications of illnesses associated with PFOA, and a designated health fund provides comprehensive treatment options should any resident be diagnosed with one of those illnesses. In Vermont, medical monitoring was thwarted by Gov. Phil Scott last May. After passing the House and the Senate, S.197 – a popular bill that provided polluter-funded medical monitoring to Vermont communities impacted by toxic pollution – was vetoed by Gov. Scott. In a statement, Gov. 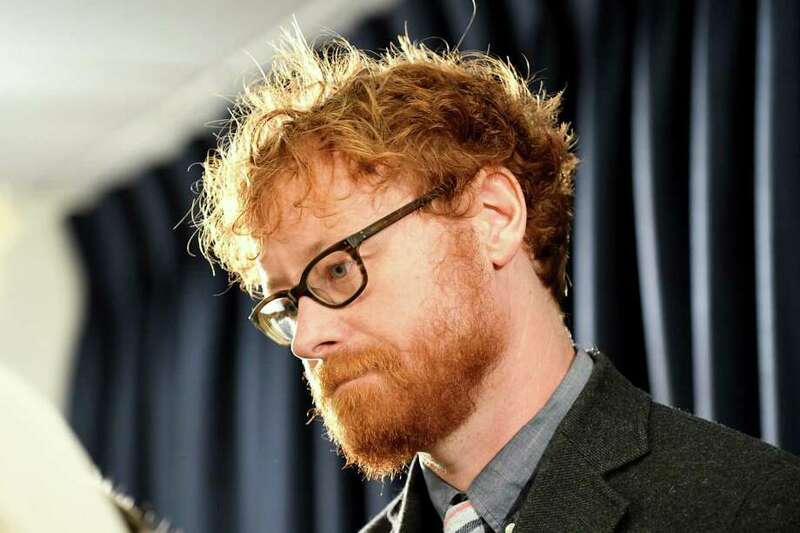 Scott described PFOA as a “public health crisis” before explaining how settlements with Saint-Gobain that provide clean drinking water to residents were sufficient resolutions to PFOA contamination. Calling PFOA a “public health crisis” just before dismissing the legitimate health concerns of residents adds insult to injury. Any settlement with Saint-Gobain that does not address the health concerns of residents is an incomplete settlement. It’s time for the governor’s office to recognize the truth that residents of Bennington have been living for the past few years: PFOA is a serious health hazard. Medical monitoring and a health care fund for these communities is a long overdue step towards making our communities whole again. In a recent study, a team of faculty and student researchers at Bennington College discovered elevated levels of perfluorooctanoic acid (PFOA) in soil samples stretching a 120 square mile area east of the ChemFab plant in North Bennington, Vermont. ChemFab was previously owned by Saint Gobain, the manufacturing company accountable for contaminating the groundwater in Hoosick Falls. 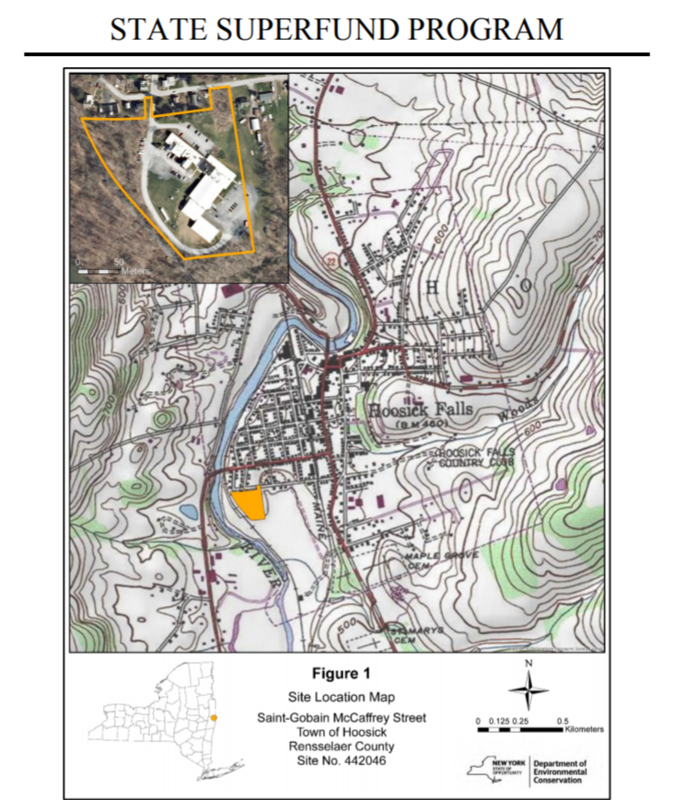 A consent order with Vermont had only identified around 12 square miles of contaminated land and Saint Gobain claimed that their PFOA emissions were limited to only the nearby neighborhoods. 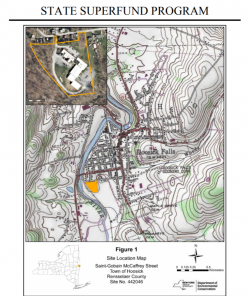 The study brings to light the discovery of elevated PFOA levels in soil located downwind of the Saint Gobain facilities, including the Hoosick Falls plant. “Our research suggests Saint-Gobain has been insisting on a microscopic view of a wide angle problem. When you zoom out, you begin to see just how extensive PFOA contamination may actually be,” Bond added. 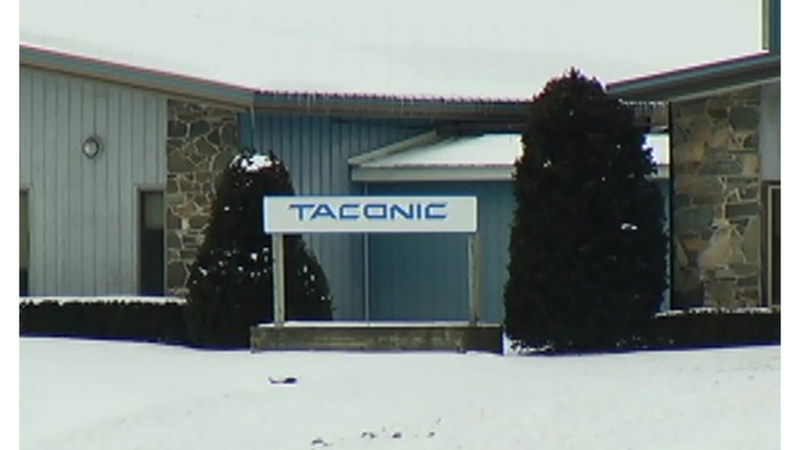 More than two years after the Taconic Plastics plant in Petersburgh, New York first alerted the state of concerns about contamination around its Route 22 facility, the company is beginning an in-depth investigation into the extent of PFOA contamination in the area. Taconic will commence with doing soil tests and installing groundwater wells in order to study the actual extent of PFOA, or perfluorooctanoic acid, contamination. Following the discovery of PFOA contamination in the Village of Hoosick Falls’ water supply in 2016, Taconic approached the New York State Department of Environmental Conservation and Health Department regarding previous PFOA contamination at its Petersburgh facility. Due to major concerns about the negative health effects this PFOA contamination might cause for residents in the years to come, Taconic signed a consent order with New York State requiring the installation of a filtration system on Petersburgh’s municipal water plant. Testing and filtration systems on private wells in the area were also mandated. In addition, Taconic was required to investigate the scope of the contamination to see how much of the surrounding area had been affected, and to look into ways of remediation. The state Department of Environmental Conservation recently announced that a report detailing the investigation’s discoveries will be released in 2019. There is currently an ongoing class action lawsuit against Taconic that has been filed by Petersburgh residents. A recent report that the federal Environmental Protection Agency attempted to block the publication of a public health study on PFOA/PFOS contamination has elicited a strong reaction from Vermont officials. The public health study in question would disclose that PFOA and PFOS become a serious risk to human health at a far lower level than the EPA has marked safe. “I am outraged, but not surprised, that Scott Pruitt’s anti-science EPA is suppressing research that would shed light on the health threats posed by PFOA contamination of the water supply,” said Rep. Peter Welch, D-Vt.
Welch recounted his interactions with Bennington residents who have been facing PFOA contamination. “They have a right to see this information, which was gathered by federal employees and paid for with taxpayer funds. EPA should immediately make it available to the public and end its practice of choosing polluters over the public’s right to know,” stated Welch. The public health has yet to be published.